Having served articles of clerkship at Sussman Goddard (now EY) and subsequently worked at Kessel Feinstein (now Grant Thornton), Aroon was appointed as Financial Director of Score Supermarkets and subsequently as Financial Director of Trador Cash and Carry. He was the key executive responsible for the group finances, setting group polices, acquisition of businesses and undertaking due diligence's. Following the merger of the Score and Metro groups, Aroon was appointed Financial Director of Peoples Trading Centre Limited in Malawi. This gave him the 'hands on' operational experience in central Africa in retail and in wholesale cash and carry outlets throughout Central Africa and involved the management of a retail clothing chain, retail pharmacies and the manufacture of medicines. Aroon was instrumental in the setup of Nando's first franchise in Malawi and a powdered milk packaging plant in Malawi in partnership with a foreign investor. He thereafter joined I&E Malawi Limited, a subsidiary of the Lonrho Group. After completing the disposal of that company, Aroon established a financial services company to market insurance related products including investments and pension and provident funds offerings. He has more than 28 years' experience in retail and finance sectors. 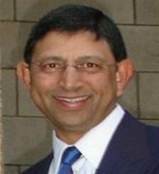 Aroon has a Bachelor of Commerce Honours degree from the University of Durban Westville (now University of KwaZulu-Natal), a Post Graduate Diploma in Financial Planning from the University of the Free State, he is a Professional Accountant (SA) and a Certified Financial Planner.